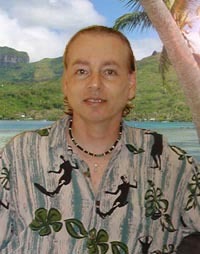 MyHawaiiRealEstaterOnline.com is strongly committed to maintaining the privacy of your personal information. The following discloses our information gathering and dissemination practices for this site. The information MyHawaiiRealEstaterOnline.com receives depends upon your actions when visiting the Web site. The date and time the request was received. Your Internet Protocol (IP) address, or the proxy address of your Internet Service Provider (e.g. AOL, CompuServe and so on). The name and IP address of the MyHawaiiRealEstaterOnline.com server that received and logged the request. The resource on a MyHawaiiRealEstaterOnline.com server that was accessed as a result of the request, such as the Web page, image, and so on. The query in the request. This field captures any criteria or parameters issued with a query, such as a policy owner name or policy number. The name and version of your Web browser (e.g. Microsoft Explorer 6.0). The content of any sent or received "cookie". The Uniform Resource Locator (URL) that was accessed before the user made a request for a MyHawaiiRealEstaterOnline.com Web server. The URL may be an outsider address that is not related to the MyHawaiiRealEstaterOnline.com server. Some parts of the MyHawaiiRealEstaterOnline.com Web site may use a "cookie", which is a file placed on your computer hard drive, that allows the MyHawaiiRealEstaterOnline.com Web server to log the page you use in MyHawaiiRealEstaterOnline.com site and to determine if you have visited the site before. The cookie captures no personally identifying information. The MyHawaiiRealEstaterOnline.com server uses this information to provide certain features during your visit to the Website. You can set your browser to warn you when the placement of a cookie is requested and decide whether or not to accept it. By rejecting a cookie, some of the features available on the site may not fully function or function properly. Other than the automatic data collection described above, this site collects no personally identifying information. The sole exception is when you knowingly and voluntarily provide information, such as when you fill in your name, address, and any other information on an e-mail form. MyHawaiiRealEstaterOnline.com uses the information it collects for internal system administrative purposes to measure the volume of requests for specific Web site pages, and to continually improve MyHawaiiRealEstaterOnline.com Internet site to be responsive to the needs of the users. Your choice to use MyHawaiiRealEstaterOnline.com Web site or to send electronic mail to MyHawaiiRealEstaterOnline.com will be considered your consent for MyHawaiiRealEstaterOnline.com to use the information collected there from as stated in this notice. You may decide to send MyHawaiiRealEstaterOnline.com information, including personally identifying information. The information you supply--whether through a secure Web form, a standard Web form, or by sending an electronic mail message--is maintained by MyHawaiiRealEstaterOnline.com for the purpose of processing your request or inquiry. Confidentiality is a top priority and MyHawaiiRealEstaterOnline.com is committed to maintaining the highest level of confidentiality with all of the information we receive from our clients, including the information received from this Web site. This information is for our internal use to service your query or request. It is not shared with any third party, unless permitted or required by law. When you choose to send electronic mail to MyHawaiiRealEstaterOnline.com, you are consenting to MyHawaiiRealEstaterOnline.com using the information provided therein, including personal identifying information, in accordance with this notice, unless you expressly state in the e-mail your objection to any use(s).